I haven't been doing any (new) papercut this past month. Things have been quite crazy hectic at work it became even such a hard thing to make time to cut 4 pieces of Etsy orders (of old designs). 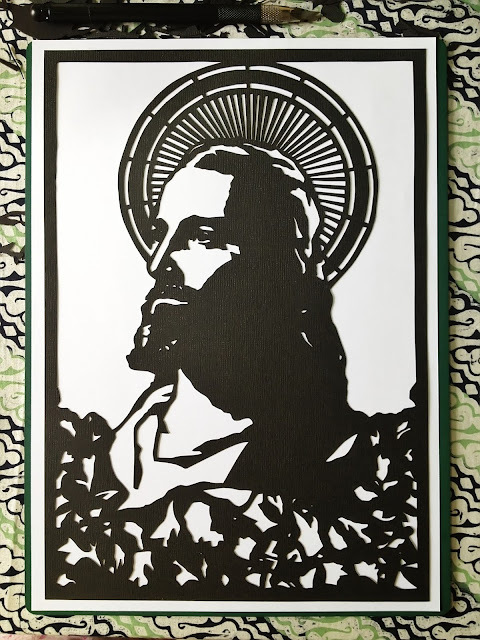 Last weekend I got back on track and finally did an informal request from an owner of last year's Mother Mary papercut who wanted a portrait of Jesus, too. I managed to finish, and am happy with the result. I'll be ordering the frame this week and hopefully be able to pass this on by next week.